After a pretty long hiatus, I am finally back to baking! It feels as if fall baking should start in September, doesn’t it? I don’t know about you but I am ready for all things pumpkin & apple. But, let’s be real…I will tell you though, I will be making some blueberry-ish things in the near future, so it won’t just be all apples & pumpkins around here. With not being able to bake for months, I missed out on summer baking. The good thing about living in Hawaii though is that there is an abundance of many summery yummies to buy and use. I have plans for some delicious pineapple goodies down the road too. I will miss actual fall weather, the chills in the air, the smells of wood burning stoves. But, I’ve got lots of sunshine and blue skies and there is football!!! In other words, it will be very hot and maybe even muggy in my kitchen,lol. 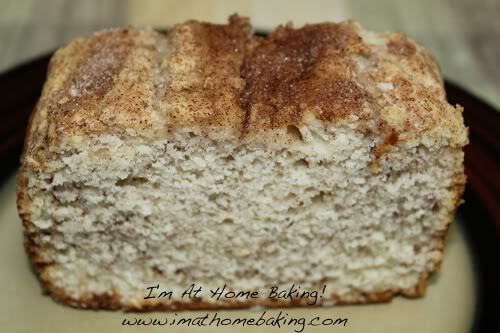 While I made this apple pie bread yesterday, it was around 85 degrees outside. I love it here though and it is so incredibly different than Japan, even the hot is a different kind of hot, if that makes sense. Okay, enough rambling about the weather, lets get to this delicious treat! I love this bread. I would maybe classify it more as a “cakey” kind of bread though. Right from the oven, with all the yummy warm butteryness is to die for but it is just as amazing the next day and cold. Of course you could always warm it back up in the microwave too. This bread is a perfect melding of our favorite fall smells and tastes. 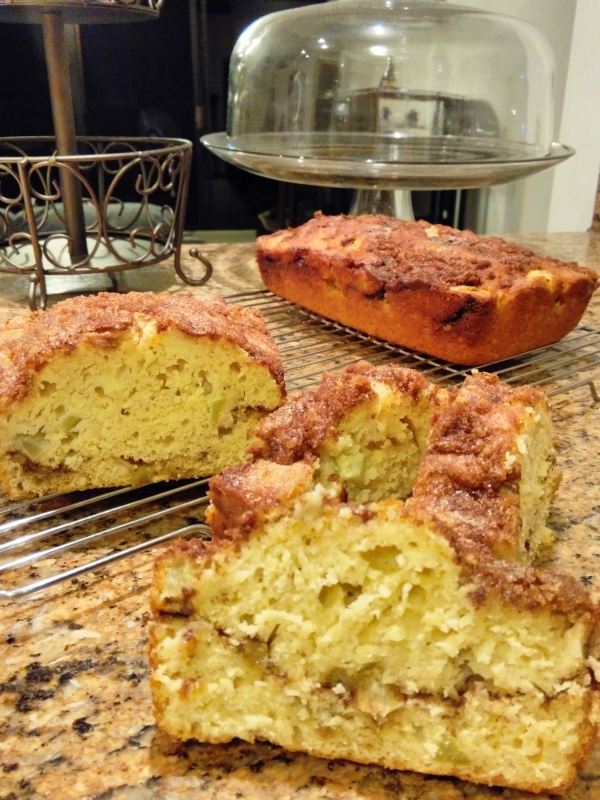 You can not go wrong with apples, cinnamon and butter and of course a little brown sugar! It does taste like apple pie and certainly smells like it while baking. I diced my apples up pretty small but of course you could make the apple pieces larger. I am baking for a different group of people now, so I went with small diced apples to play it safe,lol. This would be perfect as a breakfast and always as a dessert. Combine ⅓ cup of the brown sugar and cinnamon in a small bowl and set aside. With mixer on medium, beat white sugar, remaining brown sugar and butter until fluffy. Mix in applesauce. Add well beaten eggs and vanilla. Stir together flour and baking powder. Add flour to egg mixture and stir just until combined. Make sure to not over mix!! Add milk. Bake approx. 40 minutes. Remove from oven, brush topping with melted butter. Continue baking an additional 5-10 minutes or until a toothpick comes out clean. It has been another semi-snowy day here in Japan. Due to needing to update our steam heating that we have here on base, they thought it to be a wonderful idea to shut heat and water off for 8 hours of the day. Yes, I did mention snow, so with that are freezing temperatures and high winds. I live in Tower apartments and these are on the “older” side of housing, so there are drafts. Of course what can go wrong, shall when you will absolutely need that hot water and possibly the heat. It was one of those days here. Let’s just say one of my dogs got sick everywhere….cold baths and snuggling to keep warm while she dried. As I thought about this the other day, I decided I would do a little baking today. The oven allowed for some heat, at least in my kitchen, for a while. Perfect. Trying to decide what to bake on this chilly day had me stumped. I tried to “plan” some stuff to bake last night but really I do most of my baking selections on a whim, unless there is a special request by my husband or people he works with or whomever lives close enough to me. 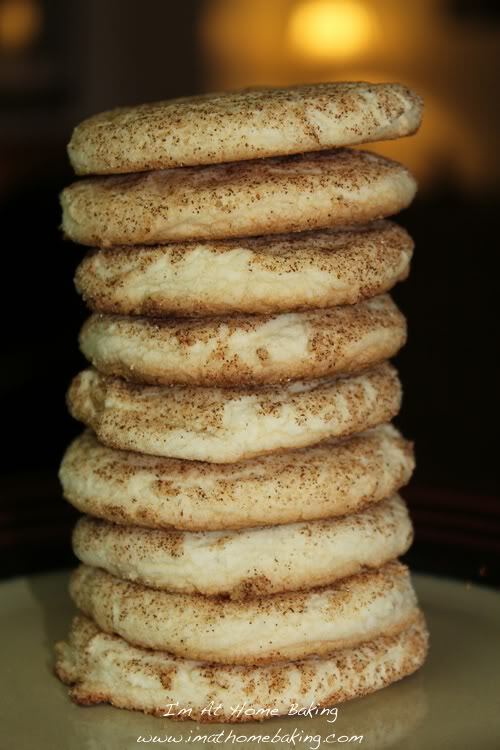 Right before Christmas there was a special request from his shop for Snickerdoodle cookies. Perfect yumminess to bake today! There is just something wonderful about the buttery, cinnamony, sugary smell that these cookies put out that makes everything okay. Really. You should go bake some! I ate one and they delicious. I like to try my baked goodies, fresh & warm from the oven, adds more pleasure to the tasting! Grease cookie sheets or use parchment paper; set aside. Sift together flour, cream of tartar, baking soda and salt; set aside. With an electric mixer cream together butter and 1½ cups sugar. Beat until light and fluffy. Scrape down sides of bowl. Add eggs and beat till combined. Add dry ingredients, beat till combined. You can now either chill the dough for an hour till overnight or start making the cookies right away. In a small bowl combine the remaining ¼ cup sugar with the cinnamon. Use a scoop, ice-cream scooper or spoon to make 1 inch balls. 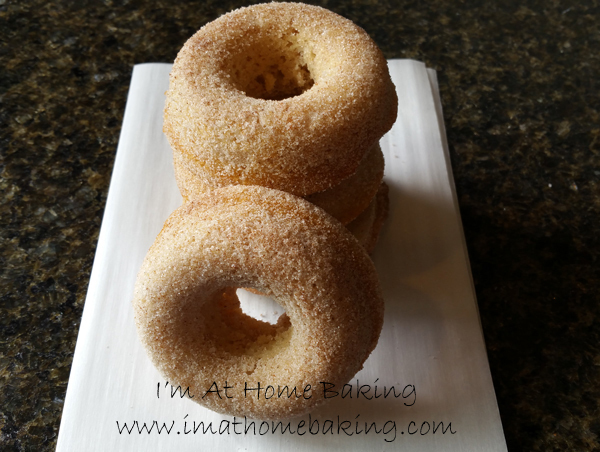 Roll into a ball; roll in the sugar/cinnamon mixture. Press cookie dough down with the bottom of a glass. Bake 8-9 minutes, move to wire rack to cool. Depending on how big or small you make your cookies, this recipe will yield 2-3 dozen cookies. I found no issue with making the cookies without chilling the dough, but if it is not working well, chill for at least 1 hour. I use a baking spray to grease my cookie sheets. Do not press the cookies down to flat, unless you want a very crispy cookie. Will keep up to 1 week in an airtight container, but I doubt you will have to do this as these cookies are fabulous!